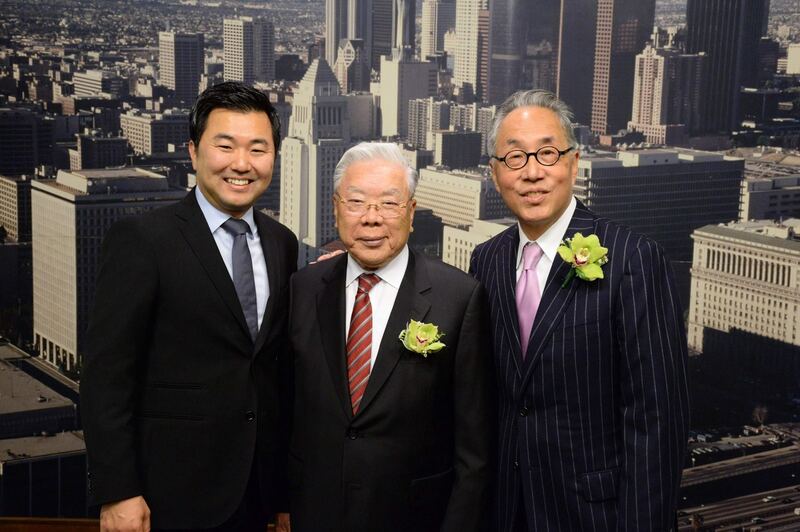 From left: City Councilmember David Ryu, chemist and philanthropist Myung Ki “Mike” Hong, and former City Councilmember Mike Woo at Los Angeles City Hall. As part of its recognition of Asian Pacific American Heritage Month, the Los Angeles City Council on May 30 honored Michael Woo, the council’s first Asian American member. Woo was elected to the council in 1985 and represented the 13th Council District, which included Hollywood and Silverlake, for eight years. He also ran for mayor in 1993 and California secretary of state in 1994. Woo, who is now dean of the College of Environmental Design at California State Polytechnic University, Pomona, was introduced by Councilmember David Ryu, the second Asian American to serve on the council and the first Korean American, who called Woo a role model. Woo recalled that in addition to everyday matters such as zone changes and cracks in the sidewalk, he became involved in a national controversy in 1985 when a constituent complained about a Mickey Rourke movie that depicted the Chinese American community in a negative light. The film, which Woo did not identify by name, was Michael Cimino’s “Year of the Dragon,” in which Rourke played a New York detective battling organized crime in Chinatown. Asian American civil rights groups accused the film of promoting racist stereotypes. The council also honored chemist Myung Ki “Mike” Hong, a South Korean immigrant who founded the chemical company DuraCoat.